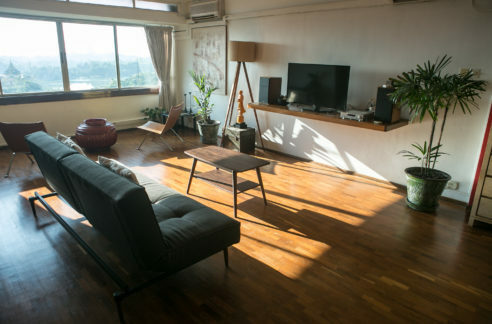 Once you’re tucked away in this gorgeous 3000-square-foot 2BR condo apartment in busy Sanchaung Township, you won’t want to leave the house again. 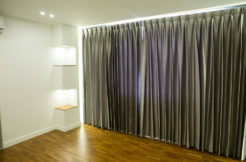 The unit occupies the whole top of the building and features an open plan design and a charming colour scheme designed to make you feel at ease all the time. Large windows ring the apartment, allowing natural light to flood inside and giving the occupant the choice of also allowing a breeze to gust through the space too. 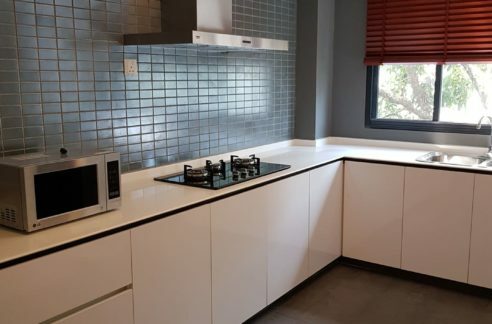 The kitchen and bathrooms are nearly brand new and have been executed with impeccable taste and high quality fittings, including an oven in the kitchen. The unit features several sitting areas, as well as a 6-seat dining table alongside the kitchen. There are also two areas for outdoor entertainment: one square-shaped balcony at the front of the apartment and an elevated dining area at the rear; both are perfect for entertaining guests during the cooler dry months. 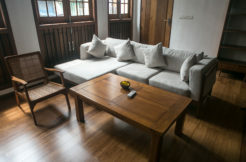 Located just off Bargayar Road and near the junction with Baho in a vibrant and multicultural part of Sanchaung. Dining and shopping opportunities nearby are too numerous to list. This unit is offered in fully furnished condition and for sale at US$550,000, negotiable. 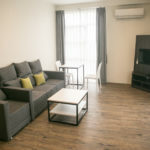 This unit is also available for rent at US$3500 per month. Please contact Myanmar Real Estate on 095082237 (English) or 09794920181 (Myanmar or English) for more information or to arrange a viewing today.